Amelia Island Golf | Golf Courses on Amelia Island, Amelia River Golf Club, Fernandina Beach Golf Club, Amelia Island Club, Amelia National Golf & Country Club, Omni Amelia Island Plantation Resort, Golf Club at North Hampton, Golf Club of Amelia Island, Golfing on Amelia Island, Florida. Golfers will Enjoy the Natural Beauty of Amelia Island with Renowned Country Clubs and Challenging Golf Courses for all Skill Levels. Amelia Island is home to an array of upscale golf courses and country clubs, each with top notch amenities and facilities. The natural beauty of Amelia Island makes for an enticing backdrop to any outdoor play, with the Atlantic ocean as your soundtrack and abundant wildlife at every turn. 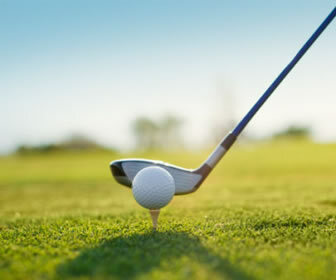 Amelia's golf courses and country clubs are world-renowned, including The Golf Club of Amelia Island, Amelia National Golf & Country Club, The Amelia Island Club, Amelia River Golf Club, The Golf Club at North Hampton, among others. We've made it easy for you to SAVE UP TO 65% and book your Tee Times online right here on our website. You'll find all the top golf courses located on Amelia Island, Jacksonville and all of Coastal Florida and Georgia. Tee Times are guaranteed through the Golf Channel Online and offer a convenient way to reserve your spot on the leading golf courses while getting a significant discount. Amelia River Golf Club is located just three miles from Amelia Island Plantation's main entrance and is renowned as one of the best conditioned courses in the area. Smooth Eagle greens, sculpted around a forest of majestic live oaks, sabal palms, southern pines and wax myrtles make it as beautiful to play as it is challenging. Known for its incredibly smooth TifEagle greens, manicured fairways and challenging pin positions, Amelia River is one of the most prestigious courses in all of North Florida. Sculpted around a forest of live Oaks, Sabal Palms, Pines and Wax Myrtles, this Tom Jackson designed track plays to 6,808 yards from the back tees, Amelia River Golf Club offers a challenge to all skill levels. Whether a true beginner or a single digit handicapper, our par 72 course is a challenge golfers of all skill levels. Twenty-seven holes of golf and proximity to Jacksonville and the beach make Fernandina Beach Golf Club one of the most popular municipal golf facilities in the country. The sub-tropical climate and warm Florida sun make our impeccable greens that much more enjoyable and enticing. Our generous fairways and native foliage decorate the smooth green of each course and relax your senses. Each course measures well over 3000 yards from the championship tees and presents a one-of-a-kind challenge. The Golf Club of Amelia Island opened its doors in 1987 and has been providing a warm welcome to our members and guests ever since. Amelia Island's inviting private club, is the perfect place to enjoy a round of golf, enhance your tennis game, unwind at our intimate beach club, or gather with friends at the clubhouse. Featuring 18 holes of championship golf, two lighted hard tennis courts, a private beach club, a variety of dining options and banquet facilities, ensures an extraordinary club experience. The Legendary golfer, Arnold Palmer designed over 300 course worldwide and a great many of them where in his adopted state of Florida. While Bay Hill gets TV time and Islesworth is noted for its wealthy members, many people who have played all Arnie's courses in the Sunshine state say without a doubt, North Hampton is the best test of golf. Located only 25 minutes from downtown Jacksonville, North Hampton provides magnificent golf in a casual setting, spectacular conditioning and enough local wildlife to make you think you are on safari. Our championship course is an eighteen-hole 7080 yard, par 72 layout, that was extensively renovated in 2012, elevating it to one of the top golf courses in Florida. The tranquil feeling of lakes and trees and it's naturally beautiful setting eases the worries and hassle of everyday life and makes North Hampton a favorite place for corporate outings and golf events of all kinds. Our club house and banquet tent can accommodate up to 120 guests as our chef delights your taste buds with favorite local cuisine. This truly magnificent community embodies country club living at its best; from the Tom Fazio-designed, 18-hole golf course and championship-quality tennis courts to the luxurious fitness and clubhouse facilities. Enjoy lounging by the pool and superb dining located within Amelia National's guard-gated access. Amelia National is located in Fernandina Beach, which is often termed the gateway to the enchantingly quaint Amelia Island. Long Point is the member-owned course for The Amelia Island Club members and their guests. It is also available for resort guest play on a limited basis. Completed in 1987, this Tom Fazio award-winning design challenges golfers with natural hazards, tight fairways and elevated greens. The Oak Marsh Golf Course is one of the truly classic Pete Dye-designed golf courses. The course, built in 1972 shortly after the completion of the Harbour Town Golf Links at Hilton Head Island, South Carolina, is noted for its tight fairways and small greens, meandering along serpentine salt marsh creeks and through the moss draped heritage oaks for which Amelia Island is famous. Ocean Links holes #1 through #8 and #17 were originally designed by Pete Dye in1972. In the late 1990's holes #9 though #16 and #18 were added by noted architect Bobby Weed. Winding along a coastal Atlantic dune ridge, Ocean Links #4, #5, #6, #15 and #16 provide golfers with five oceanfront golf holes. The fairways and greens are parallel to the beach of Amelia Island and meander through a unique coastal maritime hammock. Named by Golf for Women as one of the "50 Best Courses for Women," this close proximity to the ocean and the ever-changing sea breeze provide the golfer with exhilarating views and intriguing play. Elegant oceanfront resort offering 3 golf courses & upscale dining, plus indoor & outdoor pools. Omni Amelia Island Plantation is committed to providing our guests and members with a first-class golf experience. Named a "Top 121 Golf Resort in the World" by Conde Nast Traveler, our resort is home to two incredible championship courses. And it was recently selected as the home of Golf Channel's "Big Break: Florida." We offer a golf pro shop, private instruction, equipment rentals, customized gifts and an extensive collection of golf accessories and sportswear.